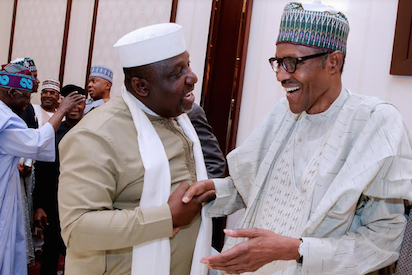 Imo state governor, Rochas Okorocha has said 34 governors out of 36 have expressed support for a second term for President Muhammadu Buhari. Okorocha said this while addressing leaders of the ‘Democratic Youths Congress for Buhari 2019′, who visited him at the government house, Owerri on Tuesday. Okorocha urged every Nigerian to support President Buhari. The governor added that Buhari is the best for the country at the moment. “President Buhari is the best for the country at the moment and that there could not have been a better option now,” he said. According to him, Buhari’s second term will bring about unity. He stated that the Anambra election which the ruling APC lost, should not be used to judge Buhari’s popularity. “Supporting Buhari for a second tenure will bring about the new Nigeria we are talking about. This will put Nigeria first and the unity we are looking for will be guaranteed under this administration,” he said. “Our nation is going through a challenging moment and we will require a man of his calibre to see us through this period. “People should not use the Anambra election result to judge the support for Buhari as it does not reflect the support.